Late for Reality: Simple Scrummy Sugar Cookies for any Occasion! Simple Scrummy Sugar Cookies for any Occasion! I have been meaning to share a great recipe with you for a while. I discovered this Sugar Cookie recipe online a long time ago and it works perfectly every time. 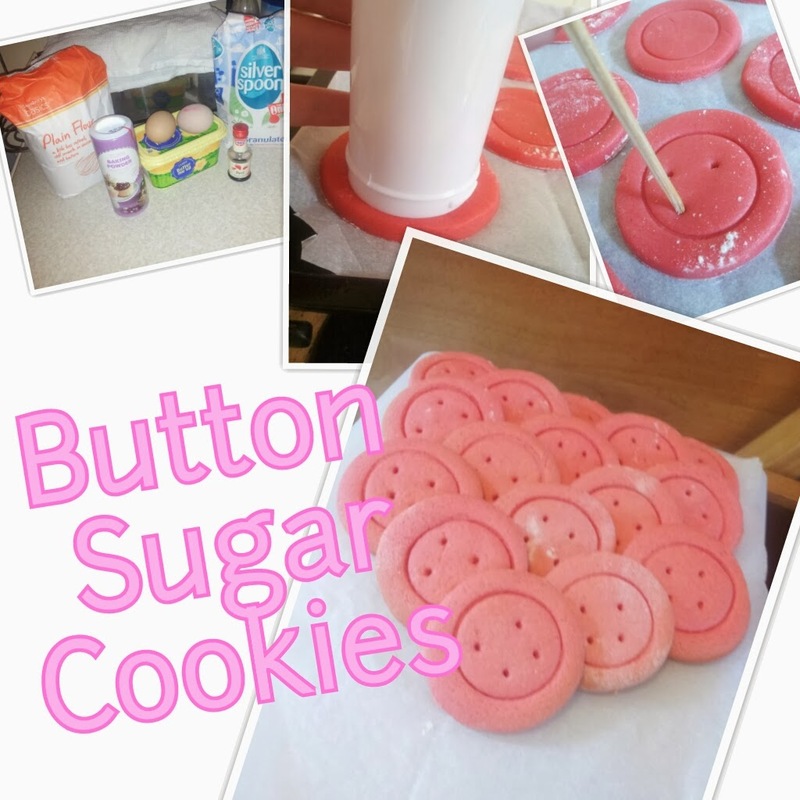 I have used it to make some adorable button cookies for my friends baby shower and some pretty star cookies to for a family gathering. I am proud to say they didn't last long and went down great with the kids. My cousin has a severe nut allergy so this kind of recipe is fantastic as most of the ingredients are not made in a factory that handles nuts! It was nice for him to have a treat too as often he can't eat the same as the other kids. 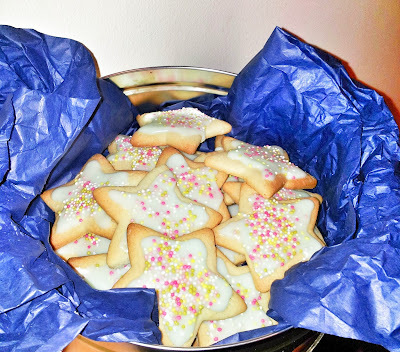 I have written this recipe for beginners as it is really simple and great for children and adults who are just learning to bake! *Before you start - Weigh out your ingredients and pop them all in bowls so that you are ready to go. Preparation is the key to good cooking! Step 3 - Roll your dough out on a clean floured surface, remember to add a sprinkling of flour to your rolling pin to stop it sticking. (Don't use too much flour on your surface, just enough to stop sticking). Roll to about a pound coins width. Step 4 - Take your cookie cutter and cut out your shapes. Pop them onto your baking tray that you have lined with baking paper. Step 5 - Put your cookies into a pre-heated oven at 170 degrees Celsius for 7-8 minutes or until cooked as baking time could be different depending on thickness and your oven. Step 6 - Remove cookies from the oven and leave to cool on a cooling rack. Step 7 - Mix your icing sugar and water in a bowl with a teaspoon until you have a runny icing that coats the back of your spoon. Add a drop of your food colouring. Step 8 - Once your cookies are cooled spoon your icing on and add decorations of your choice! Step 9 - Allow the icing to set. You can then pop these in a pretty tin or cellophane bags for gifts. 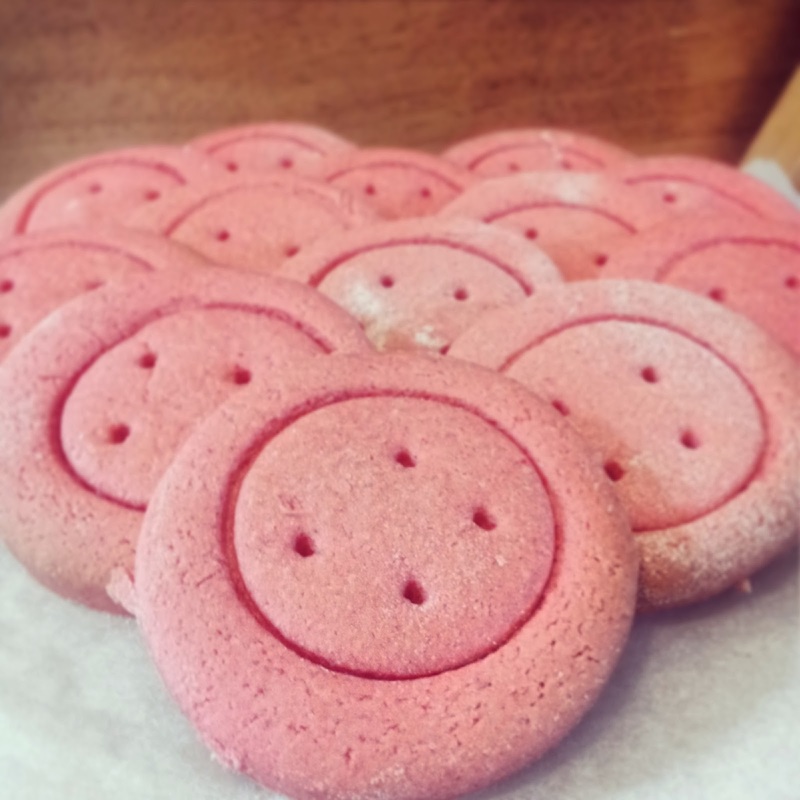 cute button patterns in round cookies! 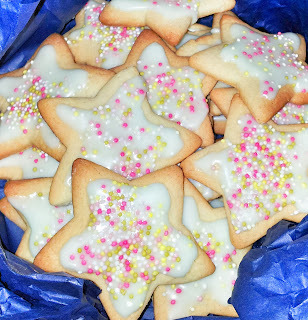 I hope you enjoy making these cookies and eating them! If you are unsure of anything or would like to share your own baking experiences please message me on my Facebook page - Link in left hand toolbar!